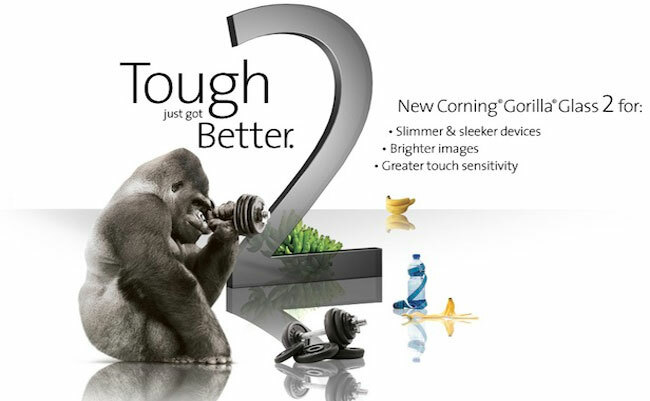 Corning’s next generation Gorilla Glass 2 which was showcased and seen for the first time at CES in January. Could be arriving in devices as early as spring 2012. Gorilla Glass 2 builds on the properties of the well known Gorilla Glass which is used in many everyday mobile devices. But the new Gorilla Glass 2 is now thinner, more touch sensitive and provides the same reliable ruggedness. In an interview with the Verge website, Corning has revealed that products equipped with the new Gorilla Glass 2 screens should be arriving as early as April or May 2012. Gorilla Glass 2 is 20 percent thinner that the current Gorilla Glass on the market and maintains the damage resistance, toughness, and scratch resistance of the original.